Duane is an expert in energy, environmental, climate change, land use, natural resources, water, and public land law. He is the author of Shaping the Sierra: Nature, Culture, and Conflict in the Changing West (University of California Press, 1999) and Professor Emeritus of Environmental Studies at the University of California, Santa Cruz. Duane was on the faculty at UC-Berkeley from 1991-2009 and at UC-Santa Cruz from 2009-2018. He is also a licensed California attorney admitted to all federal courts in the state as well as the 9th and 10th Circuits of the U.S. Courts of Appeals. 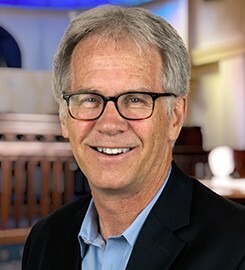 Prof. Duane has advised and represented private, public, and nongovernmental clients in regulatory proceedings before the California Public Utilities Commission, California Energy Commission, California Air Resources Board, California State Water Resources Control Board, and the Federal Energy Regulatory Commission. He has also authored many law review and peer-reviewed articles, some of which have been cited by the 9th Circuit Court of Appeals and the Utah Supreme Court. Duane has been a member of the board for several organizations including Skyfuel, Inc., Common Ground Communities, and Marin Conservation League. He belonged to the executive committee for the Environmental Law Section of the Association of American Law Schools. Duane served on the California Spotted Owl Federal Advisory Committee and was a special consultant for the Sierra Nevada Ecosystem Project. “Partial Solar Eclipse: Legal Obstacles to Solar Energy Development on Military Lands” in 6 George Washington University Journal of Energy and Environmental Law 1 (with Kuhn) (2014); “Legal, Technical, and Economic Challenges in Integrating Renewable Power Generation into the Electricity Grid” in 4 San Diego Journal of Climate and Energy Law 1 (with Griffith) (2013); “Putting the Dormant Commerce Clause Back to Sleep: Adapting the Doctrine to Support State Renewable Portfolio Standards” in 43 Environmental Law 295 (with Lee) (2013); “Water, Work, Wildlife, and Wilderness: the Collaborative Federal Public Lands Planning Framework for Utility-Scale Solar Energy Development in the Desert Southwest” in 41 Environmental Law 1093 (with McIntyre) (2011); “Greening the Grid: Implementing Climate Change Policy Through Energy Efficiency, Renewable Portfolio Standards, and Strategic Transmission System Investments” in 34 Vermont Law Review 711 (2010); and Shaping the Sierra: Nature, Culture, and Conflict in the Changing West (University of California Press, 1998). Submit changes to Timothy Duane's profile.